New questions have emerged in the speedtest controversy surrounding Reliance Jio, Airtel and Ookla. Here's a look at all the facts, along with excerpts from official documents. UPDATE: In a statement to Digit, a Reliance Jio spokesperson said, "The core issue is that the speedtest results are attributed to the primary sim even though the sim for which the data speedtest is conducted is the secondary sim in the case of dual-sim phones. In India, more than 90% of 4G phones are dual-sim. Therefore, there is no guarantee that the speed which is attributed to Airtel is of the Airtel data network. We are surprised that Ookla in its press release has not talked about this issue even though they had acknowledged the blunder to us earlier. Ookla has baldly stated that they stand by their results and has skirted the main issue. We will initiate actions as we deem fit at appropriate forums. The public should not be misled by these false claims based on the Ookla results." Reliance Jio and Airtel have been at loggerheads since the official launch of the Mukesh Ambani-led telecom network last year. The two have been battling each other's offers and claims leaving no stone unturned to ridicule each other publicly, on multiple occassions. What started as a dispute about Reliance Jio’s continuation of its Happy New Year offer, which Airtel said was anti-competitive, turned into a full fledged telecom war. Even the Telecom Regulatory Authority of India was dragged into the mud, when Airtel alleged to the Telecom Disputes Settlement and Appellate Tribunal (TDSAT) that the regulator was “tactically” allowing Jio to continue with its promotional offers, “perpetuating illegality” in the process. At the back of this continuing rivalry, both Jio and Airtel aggressively flooded the market with a bunch of revised plans and offers, hoping to woo new customers and retain existing ones. Now, the two telecom rivals have locked horns on yet another issue, this time, a report from global internet speed test service - Ookla. After Ookla claimed that Airtel was the fastest mobile network in India, the latter went all out to advertise its victory over Jio and all other incumbent operators (or whatever is left of them after the recent consolidation spree). Reliance Jio then made public its dissent over Airtel’s Ad campaign, calling upon the Advertising Standards Council of India to step in to make amends. Jio even sent a legal notice to Seattle based Ookla, wherein the company’s clearly states that on previous correspondence with the speed test provider, it was concluded that Ookla’s methodology was flawed. 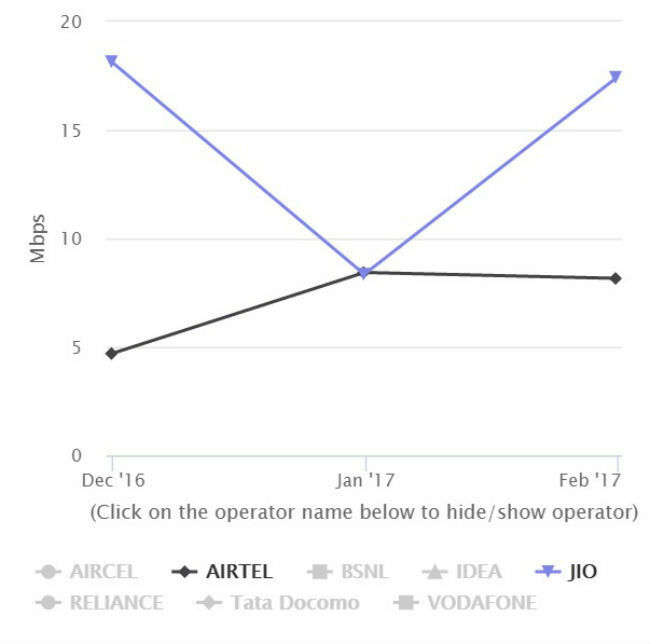 In its initial release on February 28, 2017, Ookla claimed Airtel achieved fastest mobile network speeds in India from “CONSUMER INITIATED SPEEDTEST RESULTS”. See image of the release below. Why did Ookla claim it only used Consumer initiated speed test results and then claim it used internal data sources, is something that needs immediate clarification to debase Jio’s allegations. Is Jio in the clear entirely? Not really. Another interesting observation we made in Jio’s legal letter to Ookla is that the company claims India’s data usage went up from 20 crores GB per month to 120 crores GB per month, after the launch of its network services. Moreover, Jio says that of the 120 crores GB, 100 crores is contributed by its own network. That implies that 83.33% of India’s entire data consumption has come from Reliance Jio in the past 6 months! That is supremely absurd! Do they mean to say that since the launch of Jio’s services, other incumbent operators have only contributed less than 20% to India’s data traffic? If that is truly the case, Jio should provide “official” proof of the same, given that the new telecom entrant is demanding it from Airtel with regard to Ookla's status as an unofficial, self-proclaimed leader in the internet performance testing space. While Jio is disputing the authenticity of Ookla’s tests and Airtel’s network speeds, sources tell Digit that it does not want to go as far as deeming itself the fastest network in India. The source went on to say that Reliance Jio considers TRAI’s speed test as an official indicator of network speeds in the country, which clearly point out that Jio’s network has trumped that of Airtel since January 2017, making it the fastest network in India. However, in light of the previously mentioned ongoing dispute between Airtel and TRAI (on account of Reliance Jio), it is hard to access the authenticity of the official data as well. For now, we are awaiting more information on the ongoing dispute. We will update this article as and when we manage to get our hands on answers to some of the burning questions raised in this article. Are redmi 4 and Note 4 VolLTE compatible for Rel Jio? 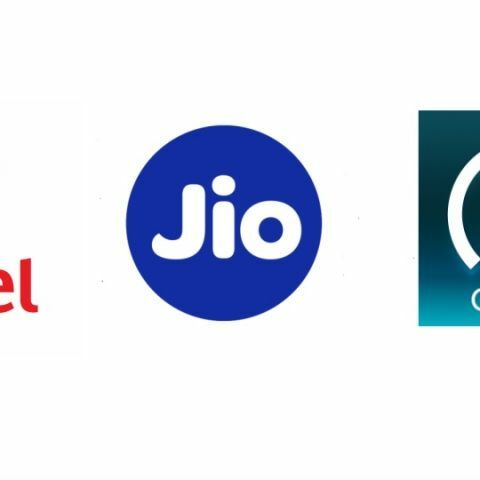 oAre redmi 4 and Note 4 VolLTE compatible for Rel Jio?